Trade any of our tradeable stocks like Apple, Coca Cola, IBM, and JP Morgan Chase on our platform and you will earn much higher payouts and rewarding bonuses through our Banc de Binary November 2013 Promotions. With the incentives we’re providing all month long, there’s no reason for your investments to not grow exponentially. In fact, you can watch your profits double or even triple in just days. So get started early with our promotions so you can start benefiting from the rewards we have in store for you. But to make our promotions more organized this month, we have devised a schedule for our stock trading. Stick to our schedule of trades to ensure that you receive our higher rates and bonuses. Just keep an eye on your inbox for our newsletters as we will send these out regularly to update you regarding the details of our promotions. When you trade our stocks, you can freely choose whichever trading options you want. Trade using Binary Options, Option Builder, One Touch, Sixty Seconds, or BinaryMETA. Just aim to have a successful finish for each of your contract so that you can really benefit from our latest promotions. We also have available trading tools on our platform that will help you minimize risks of losing. Although you’re already a winner with our Banc de Binary November 2013 Promotions, it’s always better to make sure that all your trades will end profitably. Aside from this, you’re entitled to receive free cash that is automatically credited to your account when you have reached a certain number of stock trades in a week. Meet the standards we have set and you will be generously rewarded with such incentives. So trade more of these assets and easily boost your profits in just days! 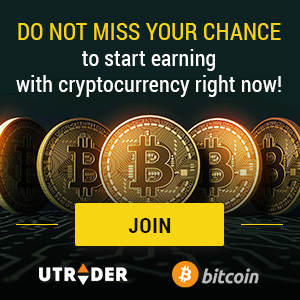 Trade now, and never miss this golden opportunity to collect higher payouts and more attractive bonuses!